Have a question? Give me a call at 561-716-7824, or you can click my photo for more options to call or email and I will contact you right away. She is confident without being aggressive. Last month, I had 24 hours to call “my own.” So, I opted to get on a plane and spend it with a woman who had the reputation of being one of the most well-versed real estate representatives in the Delray/Highland Beach area. To my delight, I met the woman who is now the reason behind my warm weather wonder of a rental, the future Realtor to a purchase when and if it should arise and my friend. Elyse Berman is the woman, the Realtor and the friend. My flight and stay in Florida were seamless. Elyse took me to see everything available which met my “wish list” and had a time line, which made the process a pleasurable one. Her own experiences, having relocated from the New York area and become a Southern Florida resident, were priceless in the process. Elyse was, and remains, a communicator in real time with me and with other agents/managers involved in the real estate market. She is confident without being aggressive. She is timely while being able to give extra time and care in cases requiring flexibility. I would highly recommend Elyse Berman for any rental or purchase in the Greater Boca Raton area. In fact, I have already done so with a friend in New York! Did you know the hottest homes for sale in Boca Raton often sell within days of being listed? Don't miss out! Set up your own custom property alert so you can be notified of the newest homes as they hit the market! Simply click the button below and choose the qualities that you want most in a home and save your search to start getting alerts today!  As local Boca Raton Real Estate Agents we also have access to homes before they hit the market and can show you more homes and information that are only accessible in the MLS. If you would like to set up a time to go over your real estate needs, please free to contact me at your convenience. There is no obligation and or pressure... I hope to hear from you! « I would highly recommend her as a Realtor. At this time we recognize that not all areas of our website are ADA compliant. We are in the process of modifying the website content to be compliant with the W3C Level One guidelines. Please let us know if you have any feedback on how to improve the site's accessibility for all users.